Because sometimes its 8 AM and you already have all this open. RAM usage currently sitting at ~11 GB. *Some things hidden (E.X. what I’m actually working on in Solidworks and Eagle) because they are not ready to be shared. 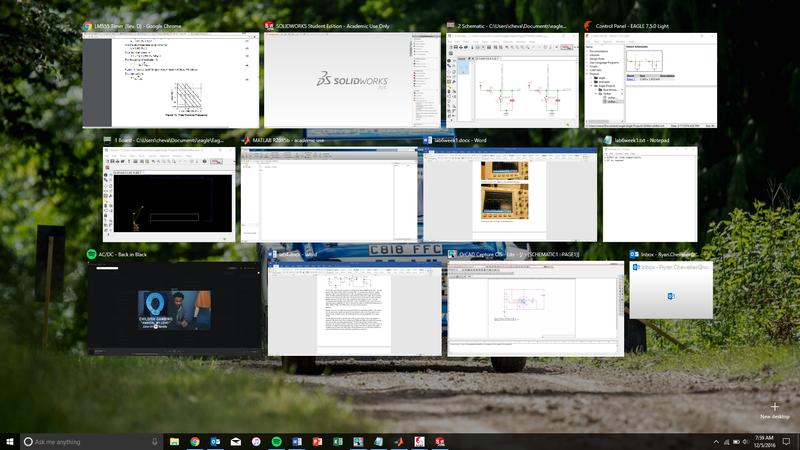 Also my window management is awful, I’m not actually working with either of the Word documents.